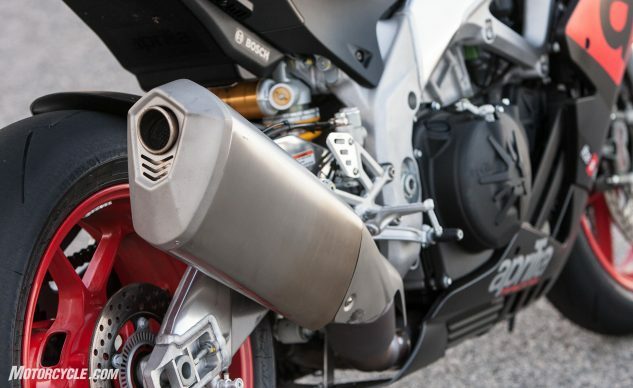 When it comes to describing the sound emanating from Aprilia’s V-4 powerplant, we’ve exhausted the thesaurus. Simply put, it’s a sound you never grow tired of hearing. And part of the soul-stirring reasons why emotional motorcyclists find themselves drawn to the Aprilia over the BMW.